BWRC presented our first Breakfast Talk of 2017 with photographers Robin Michals and Nathan Kensinger. Robin is an associate professor in the Communications Design department at CityTech while Nathan is a filmmaker and curator who writes for CurbedNY. Both started shooting the New York waterfront in 2007, when residential development was rapidly replacing remnants of the industrial past. Robin’s initial interest in the city’s shoreline was sparked by concerns over sea-level rise. Her first collection of photographs, called Castles Made of Sand documented places that would one day be underwater. Nathan, a native of San Francisco, moved to Brooklyn in 2003, and began photographing the disappearing working waterfront. Both photographers have been exhibited widely in New York City, with shows in Brooklyn libraries, galleries and museums. Six of Nathan’s images of industrial Brooklyn are currently on view in the Atlantic Avenue-Barclays station. 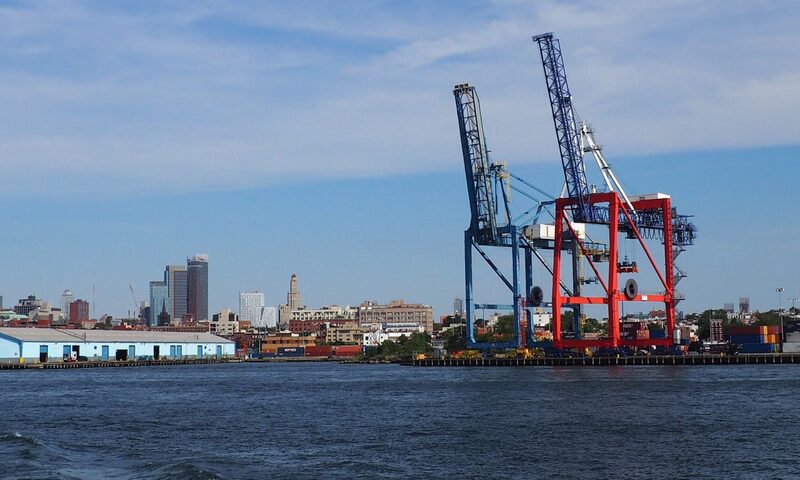 In recent years Robin’s focus has shifted to development on the Brooklyn waterfront, while Nathan’s current work reflects a burgeoning interest in climate change. Each photographer gave a short presentation, with selected images from the last 10 years, and an explanation of what drew them to the waterfront. The overarching narrative was of waterfront regeneration, as Robin and Nathan chronicled transformative changes to Brooklyn’s formerly industrial shoreline. Images of the former Domino Sugar Factory, the old Greenpoint Terminal Market, and Todd Shipyard (where Ikea sits now) drew great interest from the audience. 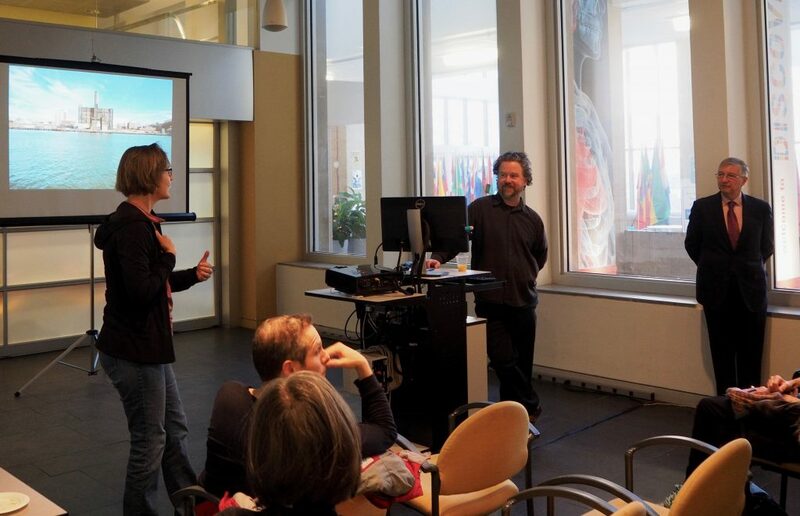 Robin and Nathan explained how their work has come full circle, since they began chronicling the Brooklyn waterfront. Robin’s recent work has focused on real estate development, whereas Nathan is examining the effects of climate change. The presentations were followed by a lively discussion about Brooklyn Bridge Park and current models for waterfront revitalization.